Ascending Butterfly: Weekly Moment of Gratitude - The Blogging Anniversary Edition! Weekly Moment of Gratitude - The Blogging Anniversary Edition! 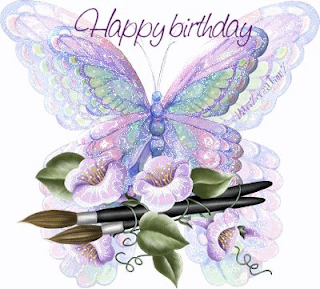 Ƹ̵̡Ӝ̵̨̄Ʒ Blog-a-versary - Ascending Butterfly was founded in 2009, and here I stand 3 years later, celebrating a Blog-A-Versary! Blogging has been more rewarding than I could have ever anticipated in so many ways. It's the hardest job you'll ever love! So this week I'm not only grateful for my blogging anniversary, but every single reader and follower, every single sponsor, every single brand ambassadorship, and all that I have learned along the way! These three years have literally flown by, and I am super excited to think of what the next 3 years will bring. Ƹ̵̡Ӝ̵̨̄Ʒ - Mental Health - I took a few days away from writing this week, and I am so happy I did. I did some wonderful stuff these past few days that I will be sharing with you, so I was literally still working, but taking a few days not glued to a screen certainly gave me some time to unwind! Ƹ̵̡Ӝ̵̨̄Ʒ - Don't be bummed as winners have NOT yet been selected for the Wilson's Leather $200 Gift Card Giveaway and the Blade Buddy Giveaway. Thanks for your patience butterflies! I will be working on closing those out tonight! FTC Disclosure: Journal Recommendation uses an Amazon Affiliate Link. Questions about our Disclosure? Please visit: http://www.ascendingbutterfly.com/p/disclosure-policy.html - Please note this is not a compensated post and I was under no obligation to share my recent wins from Somos Fios or BlogHer.